Green Leaf AC & Heating offers a variety of ways to save and make a Trane HVAC system affordable for you. Researching special savings and offers, Trane HVAC rebates and options for consumer financing can make all the difference. Ready to make your Trane purchase? 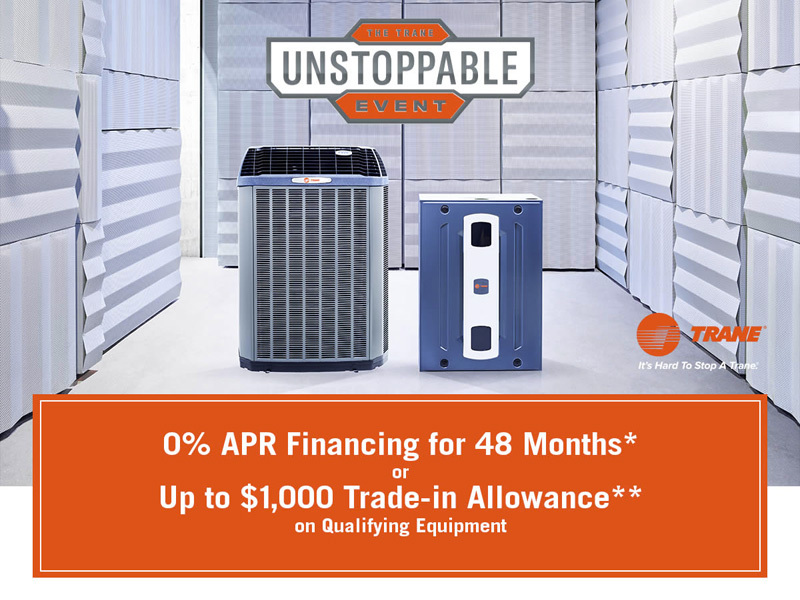 Contact us for more specific information on financing options or to apply for Trane HVAC rebates. A new Trane HVAC unit is within your reach. **Contact us for complete eligibility, dates, details and restrictions. Special financing offers or instant rebates up to $1,000 valid on Qualifying Equipment only. Offers vary by equipment. All sales must be to homeowners in the United States. Void where prohibited. There are a variety of special offers and Eco rebates available for Trane products. Contact us for additional details or visit the Trane Website.